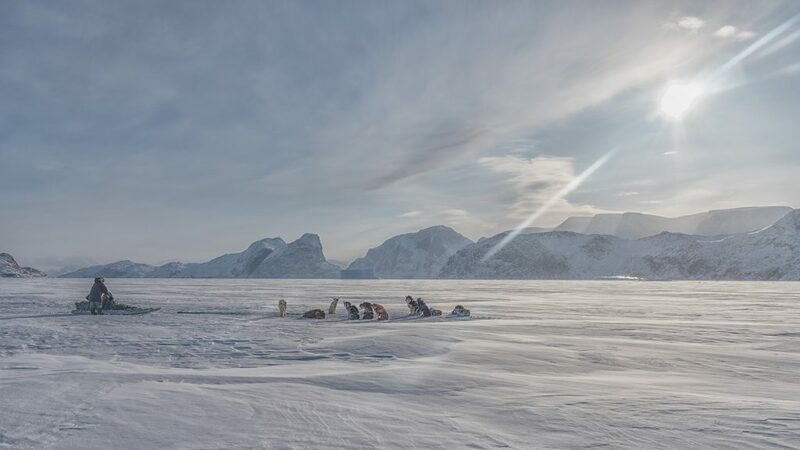 For nearly 90 years, Canadian Geographic has been encouraging Canadians and the world to discover the best our country has to offer. 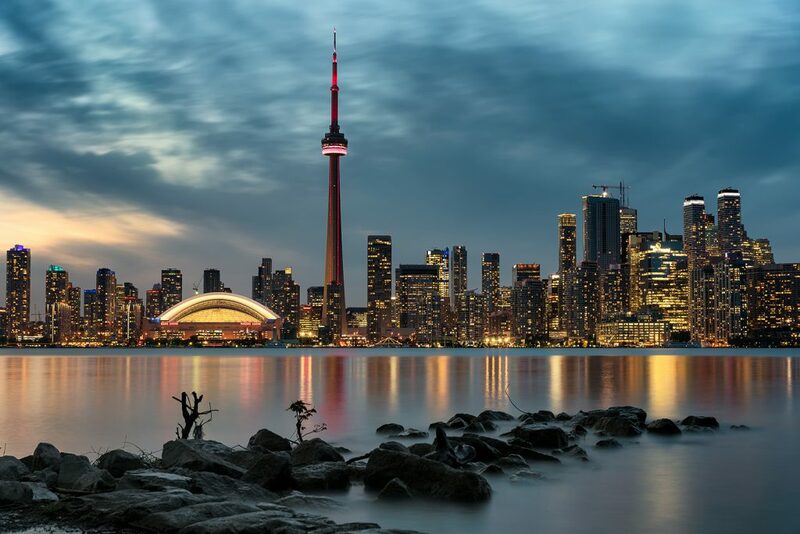 In celebration of 2018 as the official Canada-China Year of Tourism, we teamed up with Innovation, Science and Economic Development (ISED) Canada to host the Show Us Your Canada photo competition. 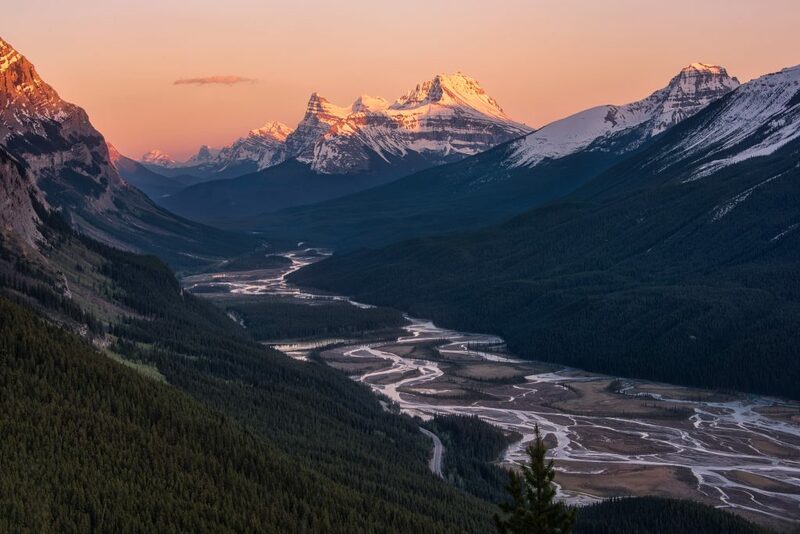 We asked you to share with us your best photos of Canadian parks, city life, people enjoying the great outdoors, and Indigenous places and cultural celebrations — and the response was overwhelming. More than 4,600 images were submitted to the competition, meaning we had some seriously tough decisions to make when it came time to pick the winners. The photos below represent the best of the competition according to our judges: Javier Frutos, Can Geo Director of Brand and Creative; Derek Mellon, ISED Media Relations Manager; and Gabriel Rivett-Carnac, an Ottawa-based photographer and content creator specializing in travel and tourism. 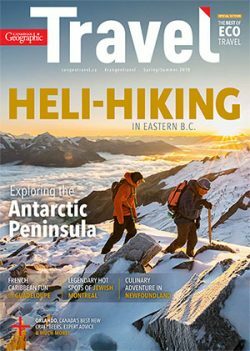 Canadian Geographic gratefully acknowledges the support of our prize sponsors: Air Canada, VIA Rail Canada, and Parks Canada. Watch the Hon. 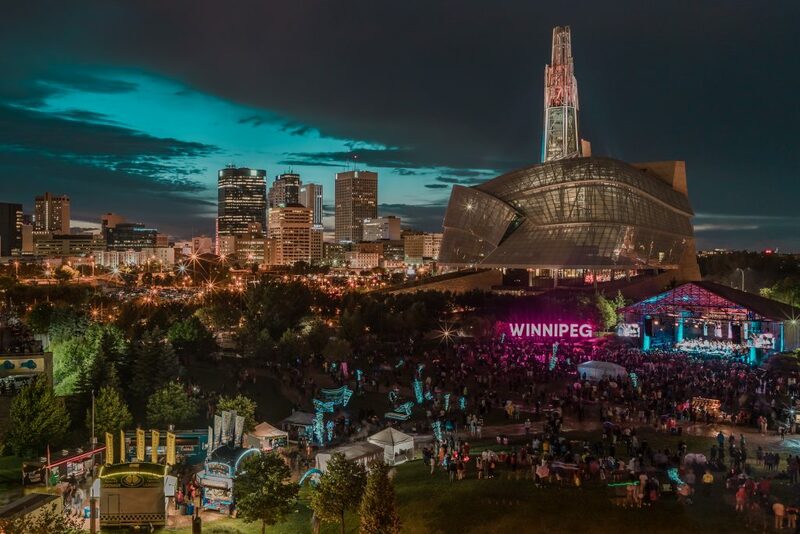 Mélanie Joly, Minister of Tourism, Official Languages and La Francophonie, announce the winners below in English and French, and scroll down to learn more about the winning images. 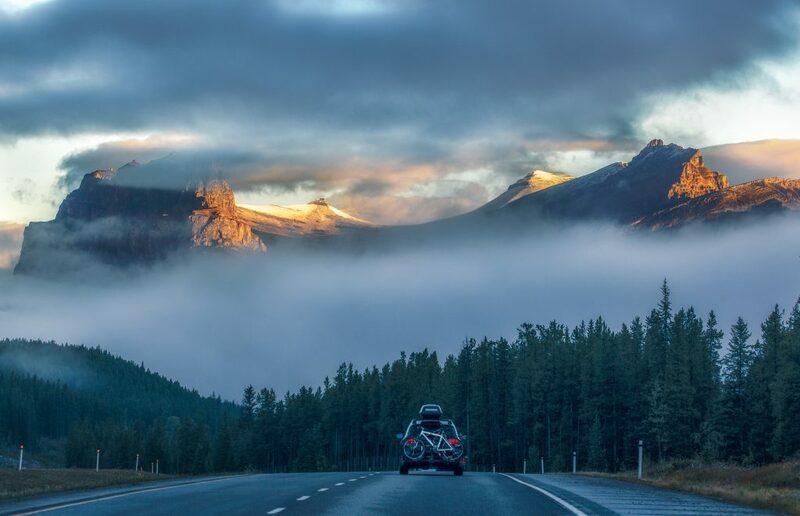 “As a Calgarian for over 17 years, I love to drive into the Rockies every weekend. 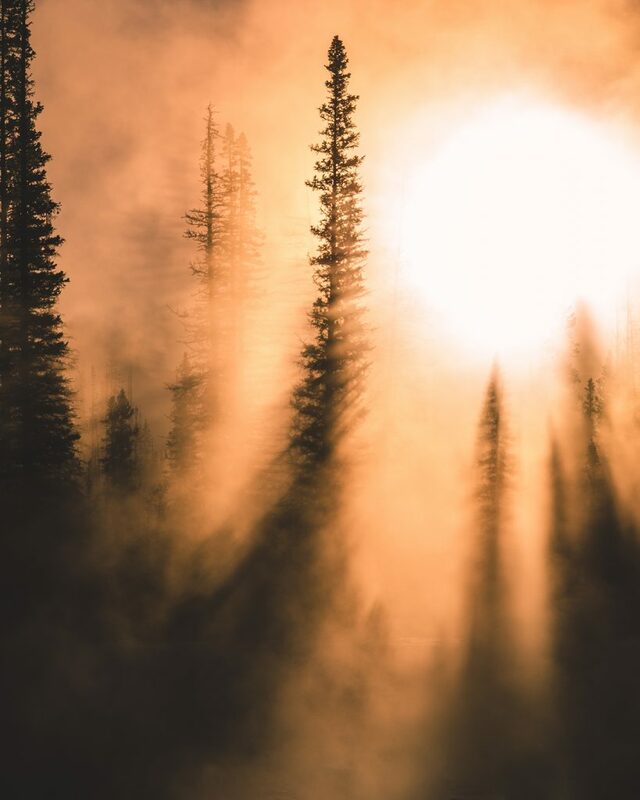 The morning after a rainfall, my friends and I headed out early to catch some nice photos with mist and fog. As we drove on the Trans-Canada Highway past Banff, the scene started to get very dreamy: the soft morning sunlight tore the mist apart and lit up Castle Mountain in the distance. Meanwhile, the SUV in front of us was perfectly positioned in the foreground. I took out my 100-400mm telephoto lens and quickly snapped this shot. 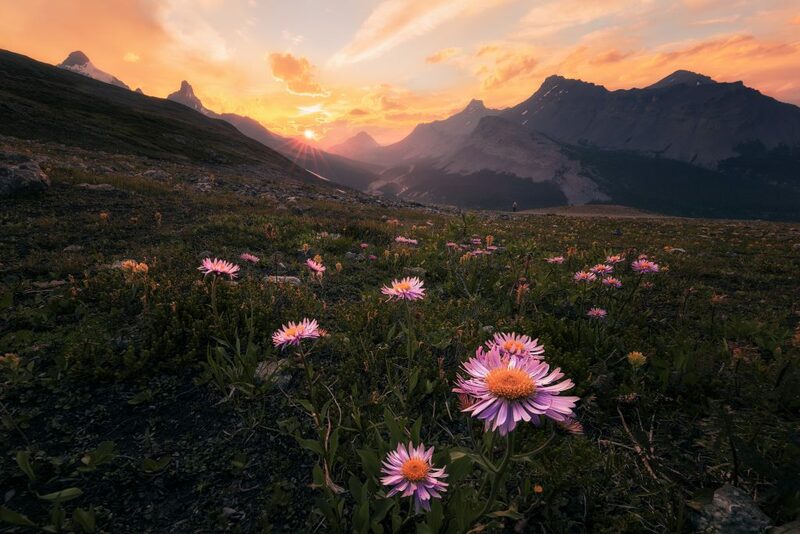 Honourable mention, Parks: Ryan Fisher, Kamloops, B.C. 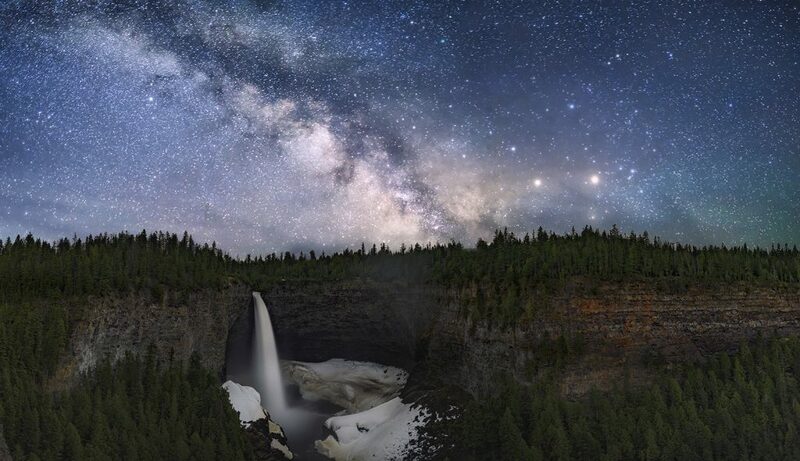 The Milky Way rises above Helmcken Falls in Wells Gray Provincial Park, B.C. 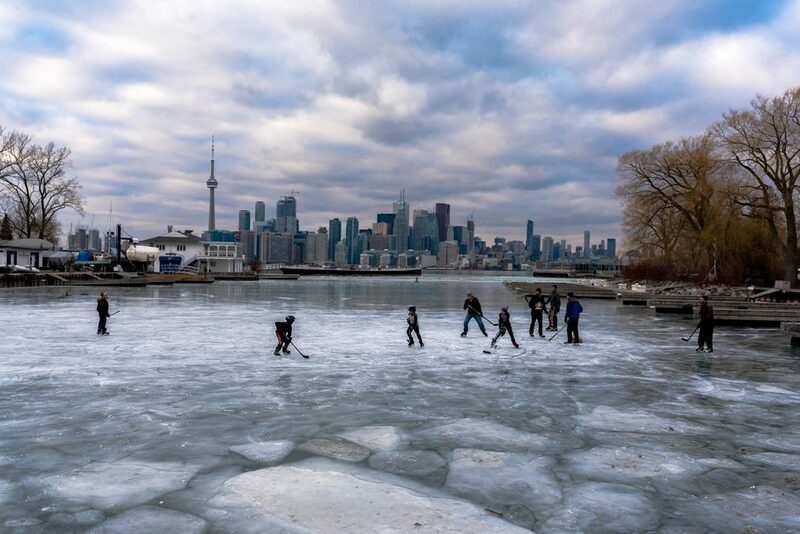 The Toronto skyline, seen from Centre Island, glows at dusk. 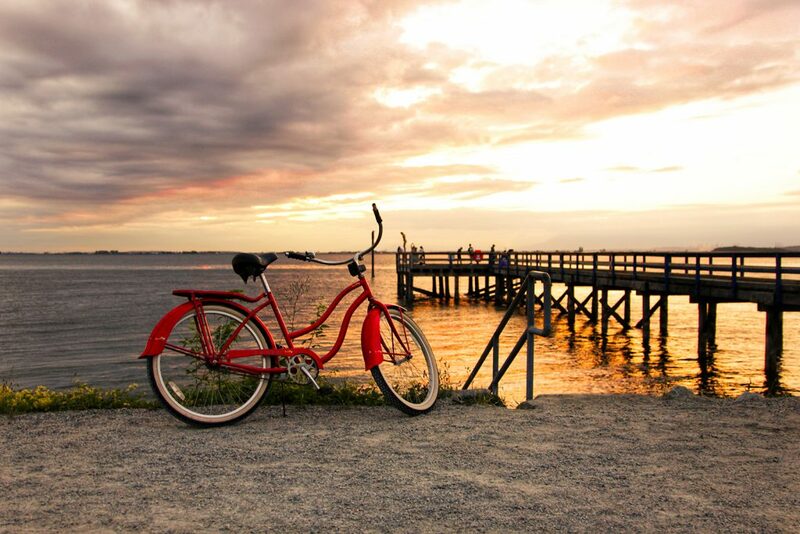 Honourable mention, Cities: Kirsten Quist, Sherwood Park, Alta. 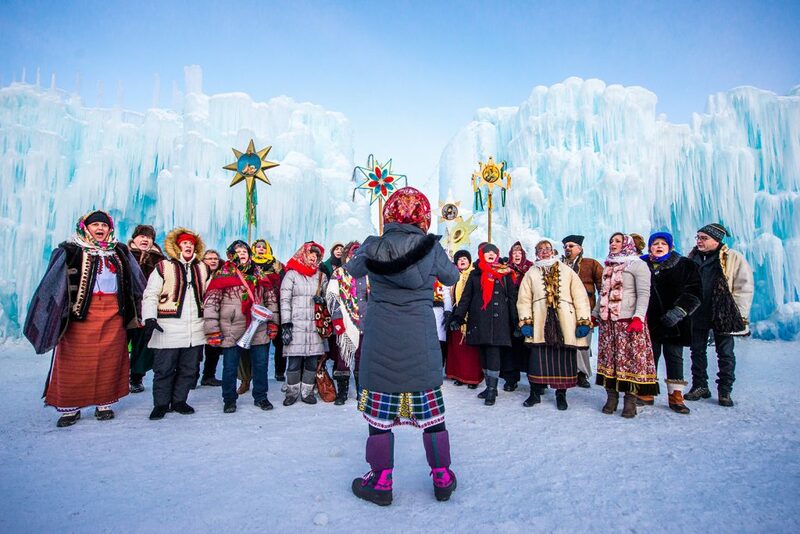 A Ukrainian choir embraces the cold and sings traditional Christmas carols at Edmonton’s Ice Castles in -30 Celsius weather. The Ice Castles, which are created during the coldest months of winter in Hawrelak Park, are a place for families to enjoy the outdoors, explore beautiful icy architecture, and celebrate what Canada’s winter has to offer. 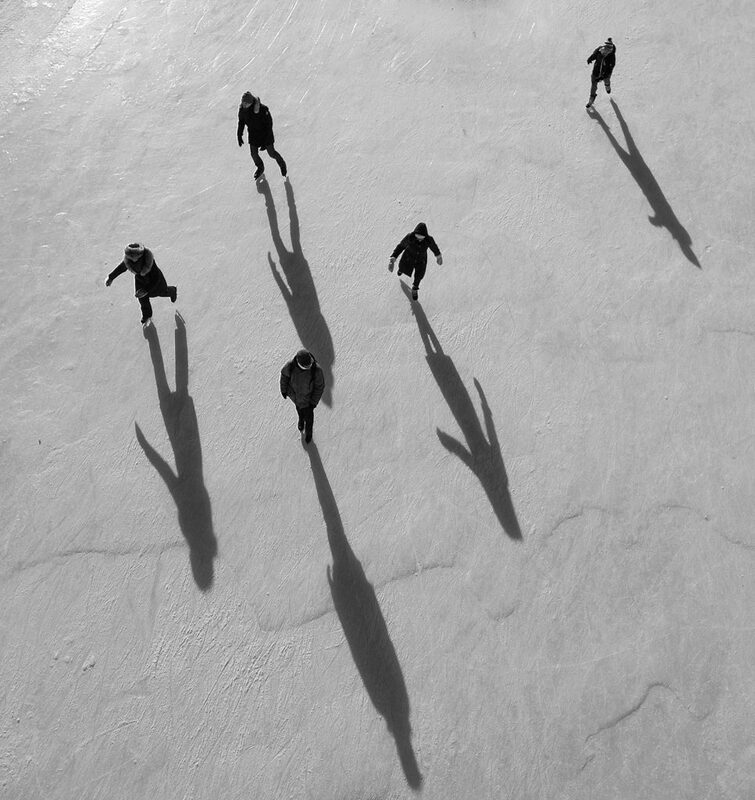 A group of skaters glides down the Rideau Canal Skateway in Ottawa on a cold, sunny winter afternoon. 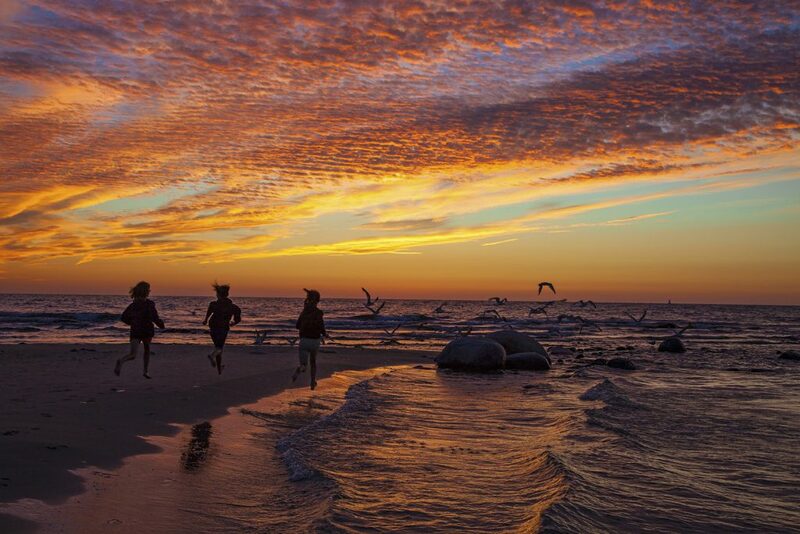 Three girls chase the gulls in Saugeen Shores, Ont. as the sun sets over Lake Huron. Winner, Indigenous Canada: Robin Luo, Markham, Ont. 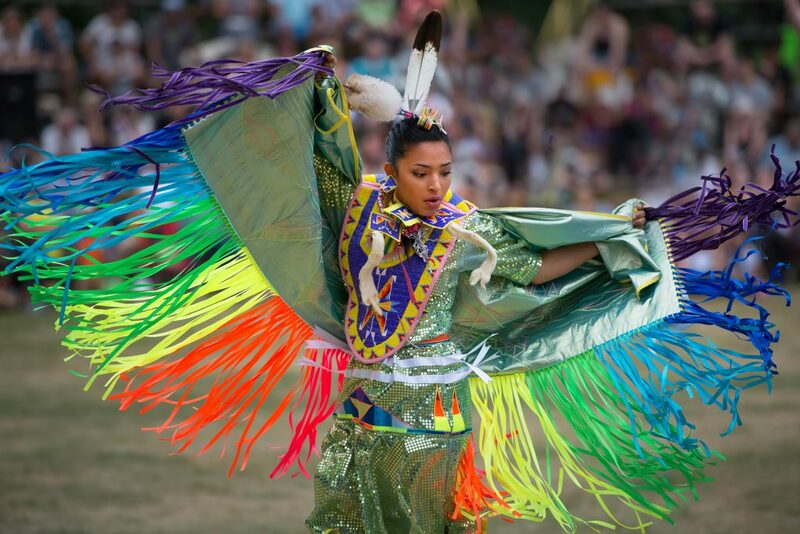 A woman performs in the Fancy Dance competition at the Grand River Champion of Champions Pow Wow, held annually at Chiefswood Park in Ohsweken, Ont. Powwow dances are expressions of Indigenous spirituality, history and culture. Some dances are specific to certain First Nations, while others, like Fancy Dance, have been adapted by a number of communities and are practiced over a wide geographical area. 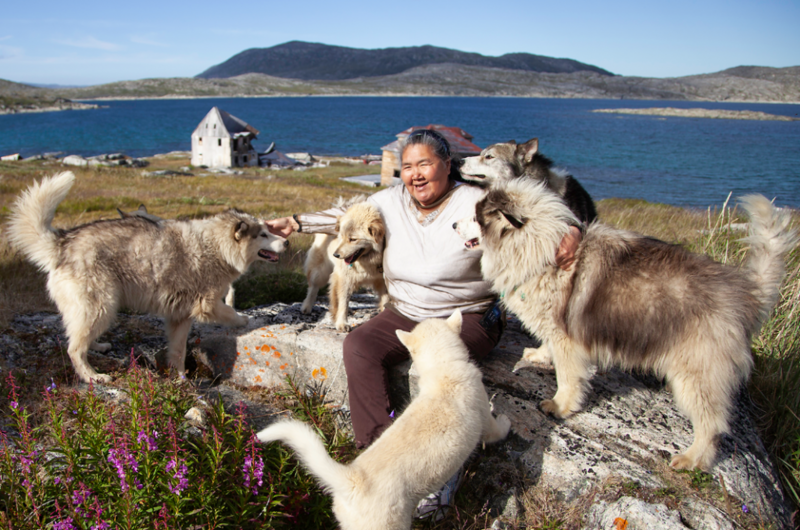 Runner-up, Indigenous Canada: Michael Winsor, St. John’s, Nfld. 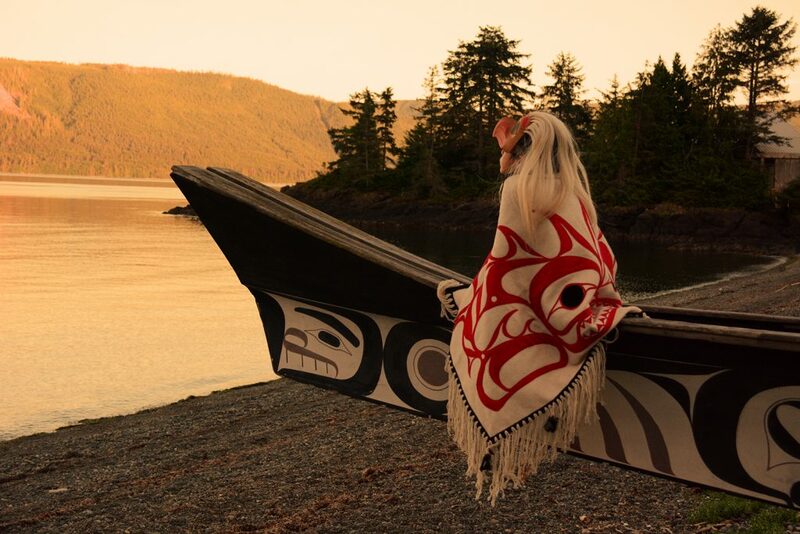 Honourable mention, Indigenous Canada: Mary Helmer, Skidegate, B.C. Winner, Youth (17 & under): Robbie Krysl, 17, Campbell River, B.C. Runner-up, Youth (17 & under): Owen Belanger, 17, Cochrane, Alta. Honourable mention, Youth (17 & under): Matthew Liew & Andrew Chen, 17, Surrey, B.C.